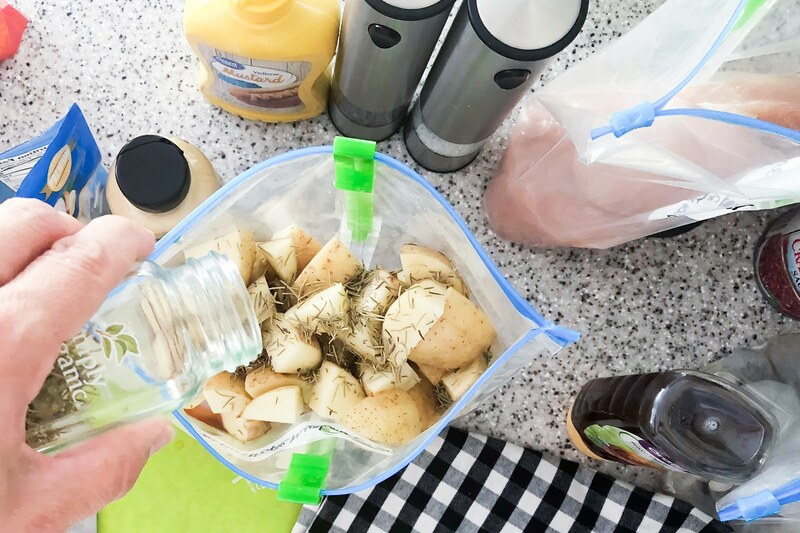 5 Dinners in 1 Hour is a meal prepping system that gives you all the tools you need to quickly prep fresh meals to store in your refrigerator. Pick one day of the week and spend about an hour in your kitchen meal prepping for the week. Dinner is ready to go and your kitchen stays clean the rest of the week! 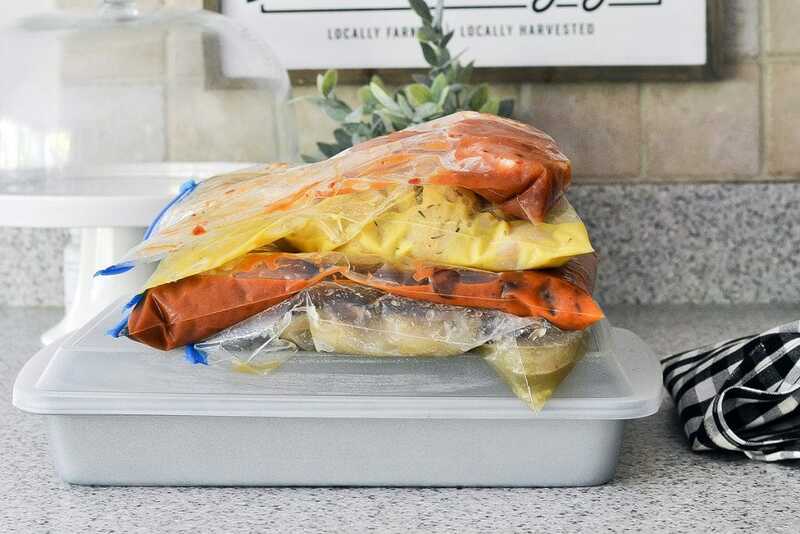 5 Dinners in 1 Hour can show you how to meal prep for the week in 4 easy steps! Each membership allows you to pick from a selection of recipes that rotate monthly. 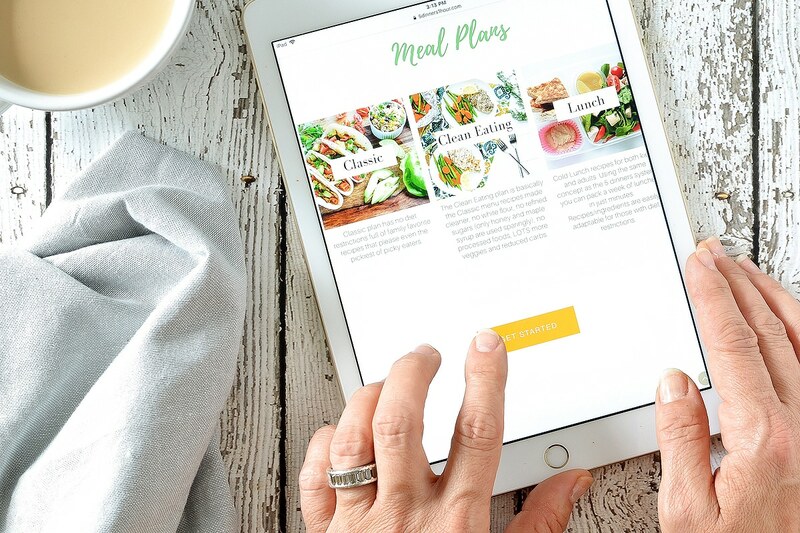 Create a custom menu by selecting 5 (or more) meals you want to prep, adjust the serving size to fit your family’s needs and print or save the menu and grocery list to your device. If you want us to do the work for you, there are also made for you menus included with each meal plan! Once you customize a menu, a grocery list is provided with all the ingredients needed for the meals you chose. Side dish serving suggestions are also included in the grocery list. 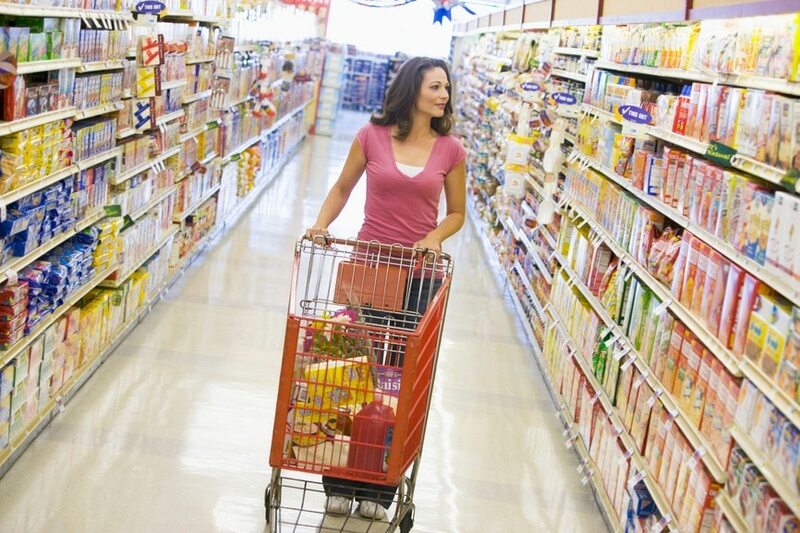 The organized shopping lists are sorted by section of the store to help get you in and out of the store in minutes! We love grocery pick up or delivery services. They make shopping so quick and easy and help you stick to your budget. Use the easy-to-follow prep instructions on each recipe to assemble 5 meals in under an hour! Meals are meant to be kept fresh in the fridge so they are ready to be cooked over the next 5 days. Only mess up the kitchen once a week! Watch our members prep their weekly meals LIVE on our Facebook page. Dinners stack neatly in the fridge or tuck them in the meat drawer. Be sure to write the “sell by” dates from the meat packaging on your bags so you know when to cook it by. Some meals are also marked freezable and may be frozen. Just thaw before cooking. 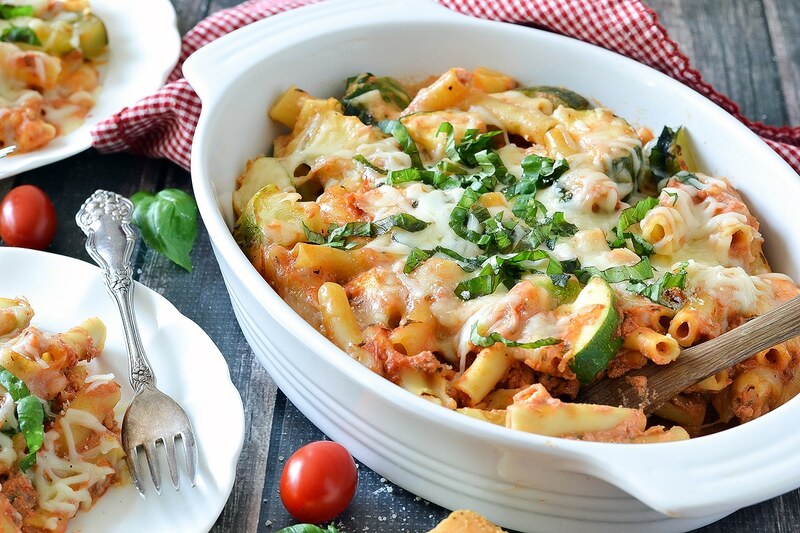 Enjoy a delicious meal without spending much time in the kitchen! Choose from your stack of dinners already prepped and follow the easy cooking instructions. Recipes are designed so you can set a timer and walk away while dinner cooks. 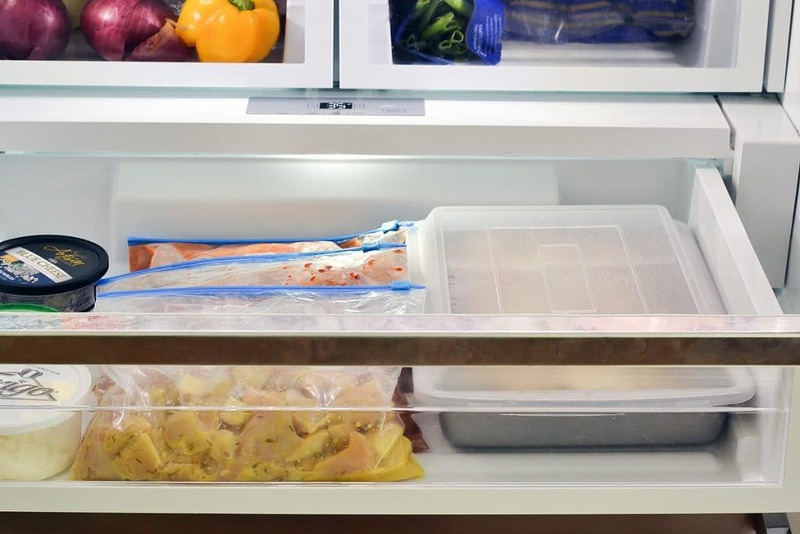 After dinner clean up is super fast with minimal dishes to wash because most meals are already in their baking dishes or poured onto a sheet pan or into slow cooker. Get started – Choose your membership HERE!